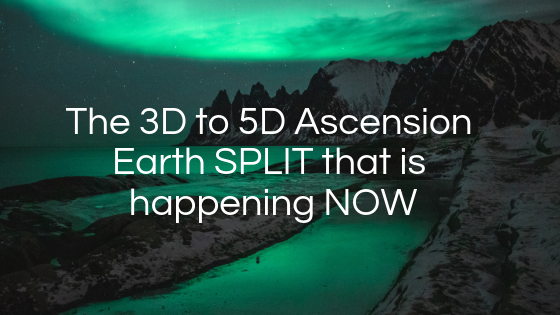 I'm going to be sharing with you the three to 5D earth split that is happening right now on the planet. I'm going to show you exactly what to do to make sure that you're on the most optimal timeline and by the end of this blog, you'll know exactly what to do. Today, I'm going to be sharing with you that of the third dimensional to fifth-dimensional earth split that is happening right now that has been happening and that will continue to happen and how you can make sure that you're on the one that you want. Because when it comes to this process, if you're on the one that you don't want, you'll find that a lot of things appeared to be negative. You'll find that a lot of things drag you into lower states of consciousness and you'll find that you end up on a timeline that you really don't want to be in. And the metaphor for this, the three to five years split actually comes from some books by Dolores cannon made me, have you heard me talk a lot about her before? I get a lot of DMs from people say, Oh, I started reading Dolores cannon. Thank you for the suggestion. Dolores Cannon is a hypnotherapist and wasn't hypnotherapists before she passed away. She has a technique called the QHHT technique, which gets people to the deepest levels of brain wave activity. And what happens is these people have in their higher selves can come through. Imagine someone's under in hypnosis and someone that's the practitioner can ask that person a question and their higher self comes through to answer. There may be questions like, why did this person in cardiac at this time, there'll be questions like, who is this person's role in this person's life? What is their purpose in life? And all of these things are things that our higher-self knows now through thousands and thousands of these different queue HHT practitioner. People have said very similar things. They have said all around the world, different people that did not know each other, their higher selves come through and a question is asked, why did you incarnate at this time? And it was to go through this shift in consciousness to go through this great awakening to help the planet earth ascend to a higher dimensional state of consciousness. To be a part of it right now on the planet is the most potent time to be alive ever than ever before. Because as a mass level, we are moving into a higher dimensional state of consciousness. Something else that was talked about in these QHHT sessions, which by the way, there's still QA tasty sessions. It's not all because she passed away. Doesn't mean they're not still going on. There are just different practitioners for it. But what happened is the information that came through said that there is this 3 to 5D earth split that will eventually happen. This was said like five, 10, 15 years ago. There's going to be this 3 to 5D earth split. What is a 3 to 5D or split? What does that mean? Well, let's think about it in terms of what is the third dimension of what is the fifth dimension? Could say the fourth dimension is that of time. There are many different interpretations of this, but in general, the third dimension is duality. The third dimension is good, Bad, light, dark up, down. The third dimension, a lot of times is connected to control. The third dimension is the level of consciousness that feels separate. A lot of times in the third-dimensional state of consciousness, you feel separate from everyone else. That is them. I am me, and that's a lot of times where it heads, but together, because in 3D there's also a lot of egos. That is something that has been on the planet for thousands of years, is this, this ego 3D mentality of letting me conquer all the lands. Let's build a wall. Let's do all of these different things. It's more of a 3D type concept, and it's about understanding that this is something that's been around for a long time, but now we are moving into a new era. We're moving into a new era. A lot of the kids being born right now or awake pretty much already awake already activated for this kind of work. In this kind of understanding of why they came here and what is happening is we're moving from that third-dimensional state of control, of duality, of attachment to these ideologies and we're moving to that from that into a 5D level of consciousness. A 5D level of consciousness is a fifth-dimensional state of consciousness and the fifth-dimensional state of consciousness. It's all about vibration. It's understanding that there is a connection between every single one of us. It has also been more abilities to come on board because when we're all connected and we all feel that connection, there's more what is called telepathy. It is where you can literally read people in America in a very deep way and you think about it even now, by the way, I think about it over 93% of communication even right now is nonverbal meaning and it's not the actual words. Well knowing that we can see that it's not that big of a jump for the other 7% for something in the fifth dimension when we're feeling so connected to everyone else. That's a natural part of how it works. We're going to have abilities that we can barely even imagine now. And part of this has to do with our vibration raising, feeling higher states of emotion, more unconditional love, bliss, joy, and peace. That is who we really are. The third dimension is us forgetting about that. Us going into the dream of separation and then going through a process of awakening so that we can remember who we are again and then in a way, reemerge as that higher dimensional state of consciousness as that love, joy, peace. Because that's what we naturally are. The idea is that there's the 5D reality and the 3D reality, and these are two different splits of what potential and what we can experience right now. Sometimes we think of this as the future, like, oh, in the future there's going to be this three to five years split. It's going to be like I pop out of here like pop over a year. I'd pop over here. It's happening right now. This split is happening right now. But here's the thing about it. Here's the thing to understand. There are many different timelines that exist right now and depending on your vibration, and remember your vibration is a combination of how you think, how you act, how you feel. That's what it determined which parallel reality version you shift to. This split that's happening, we could clump it all together and say it's going from a 3 to a 5D or split. And the idea behind it and the Dolores Cannon of books was, it was said that eventually what would happen is like, it's almost like certain people would phase out of your life. Imagine you're of a certain vibration and it's like eventually it's just like you just don't ask questions about them anymore. You just don't, they don't pop into your mind as much. They just appeared to go somewhere else or to do their own thing. The idea behind this and what this has to do with his understanding just vibrational resonance. The vibrational residence is when you start to raise your vibration, certain people will resonate with you more and certain people resonate with you less. That's a part of the shift in consciousness and the raising vibration. When it comes to this 3 to 5D or the split that is happening right now on the planet, it has about where is your vibration because this over anything is more of a metaphor. It is both a metaphor and quite literal at the same time. The misconception with this is that when it comes to ascension, many people think that ascension is this, is this leaving the body and going into a higher state, almost like rapture or something. Ascension is taking the body with us and transmuting ourselves and do all higher state of consciousness and that's what's happening right now on the planet is we are going through this shift, but a lot of times we think of things very literal. When we think about 3 to 4, 5D or split, we think of it like I am here in 3D and then I shift the 5D and everyone else stays on 3D. There's like a 5D earth that emerges and everyone else just falls away. Everyone else just stays on the 3D and it just distracts and falls apart because here are some of the things that are going to happen as this 3D world dissolves. It's a metaphor for the 3D world that no longer serves, fallen away, the political system not working anymore, the financial system not having the benefits that people think you have. Seeing that the old way of structure and control isn't working anymore and it begins to fall apart. Just like you know that if you're going to build a sand castle, you can't build a sand castle on top of another sand castle. You must first off clear the area and then you can build fresh and new on top of that and the same way that is what will happen. Here's the thing. Depending on your vibration, you can either experience that of the things falling apart. Oh, my goodness, what's happening? What's happening? Everything's going bad. All of this stuff. But when it comes to the assumption, it's about understanding that both of these you can experience. Someone could be on this track experience and the old third dimensional and somebody could be literally 500 feet away in the 5D state of consciousness and the fifth-dimensional state of consciousness. 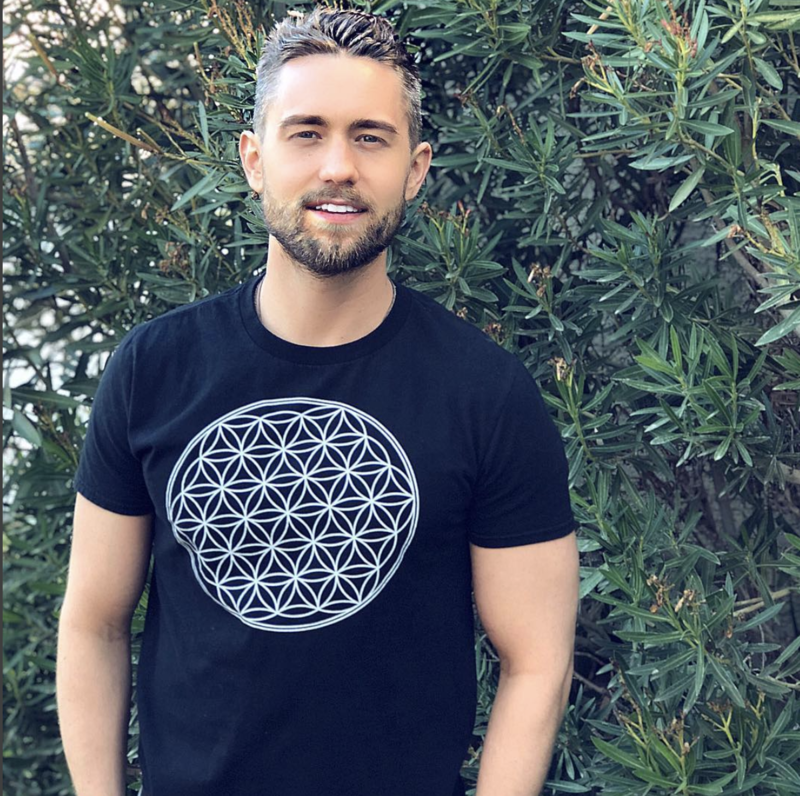 This is because there's this vibrational resonance, so this metaphor for three to five the earth split is happening right now and it's not a physical thing to where you're just phase out and go to a new completely new earth. As much as I say it's a metaphor, it is quite literal as well because imagine you raise your vibration, you start to feel higher states of emotion, whereas you had friends that you would normally kind of be in the lower states with. You would do things that would bring your vibration down. Well-being in that higher state, eventually they won't come around as much there. There'll be certain make things that manifest to where it's just you don't see each other as much as like, let's hang out here, let's do this, and things just don't work out. You'll find that they just started to phase out and then eventually they just don't think about you as much. That's happened to me in my own life in many ways as I raise my vibration. I go through these experiences of where there some people that have kind of, in a way just they understand I'm doing my own thing, but it's almost like there's not this desire that there used to be like, oh, we have to see each other every three weeks or every month. It's almost like we're on and we're just doing our own thing now, but we're also literally in different states of consciousness, not better or worse, just different points of view. 5D level of consciousness is when you're more centered in your heart. That is the area that we are moving into on the planet in this time is this time of ascension. Understand every one you come into contact with is connected to you. At a deeper level. The more you realize this is the more you are in that 5D state of consciousness, the one that you can forgive. But let's really six houses down. Someone could be in a five-state, 50 states of consciousness if the fifth-dimensional state of consciousness and the key to is sending an ascension, in general, is understanding that both are here for you. You can experience the 3-d identification, attachment, linear time, space, reality. It's much slower, much denser or you can choose to get on board and get into your heart center, be authentic, do your passion, be passionate about your life, understand that you wanted to be here. Here's the thing that's happening as well. If you're reading this blog right now, then you are also what is called a lightworker. You are bringing through the light in this life to help other people that are in the 3D reality to raise their vibration because we're going through this collection. This three to five feet or split is about you raising your vibration and then creating a bridge for other people to come over because as you're standing strong in your vibration, people, that's contagious energy. People want to be around that. It's about being aware that that is something that you can experience and that is something here for you. Understand that with this process. Yes, it is a metaphor. Yes, it is actually quite literal. And what you must do about this is understand that you must raise your vibration. Don't be afraid. Here's the key to help him, the 3D. First off, you'd have to worry about yourself. You don't have to worry about yourself, but you have to take care of yourself first. The key is to observe the 3D to recognize it for what it is to see it, to not engage with an emotionally and react to it. And by doing that it'll begin it. You won't be adding negative energy to it at the same time. You'll be holding this space at the same time. Engage with higher vibrational activities, eat good food, go for a walk in nature, connect to your heart center, be around loved ones, do things that you're really passionate about because the more you're in that passion frequency, the higher state that you're in. Focus on self-love, self-healing you doing all of these things will help you to raise your vibration more and more and the more you raise your vibration, the more you're in this fifth-dimensional state of consciousness. The less powered 3D has over you. Sometimes 3D and here's the thing, you're going to fluctuate back and forth. There's a going back and forth to this too. There were times I'm in a five, the state of consciousness and our times, I sit back down to 3D so be aware that you may go back and forth for a while, but you will end up maintaining more and more about this fifth-dimensional state of consciousness as you go on. This is a process that we are going through. Understand that we are all multidimensional. We exist at many different levels. At the same time, we come to earth, we go through this veil of forgetfulness, we forget who we are and the key is to then remember who we are and this remembrance is a spiritual awakening and it's happening at a mass level right now. More and more people are waking up every day. People are going through it. Part of this we'll be integrating what is called the shadow, the shadow aspects of us, the shadow aspects of us is the part of us that was damaged when we were kids. Normally things that we gave meaning to and we created this, this darker version of us that is living out these energetic patterns and we may feel unworthy. We will always attract people based on our shadow for shadow isn't integrated yet. We'll attract people that are equal to that until we complete the past, we will repeat the past. With that I would I have is I have a way of showing people how they can integrate their shadow. Understanding that when you integrate your shadow, you become emotionally free. How to let go of your painful past and how to raise your vibration, your vibrational set point to a whole new level. I have a free webinar training and the top of the description box below it will show you how to do all of that and it will help you through this process of becoming emotionally free and integrating your shadow so that you're able to be in that 5D state of consciousness. And when it comes to this process, understand that this awakening that's happening right now on the planet, the three to five years split is a metaphor, but it is also quite literally at the same time. This ascension process is about you tapping into your own vibration. It's about understanding who you really are. You are unconditional love, bliss, higher dimensional. You exist at many different existences at the same time you're multidimensional. The more you become aware of this is the more you can choose. The 5D observed the 3-d but choose the 5D that is something you can do and the more you do that, the easier it will get, the better you will feel and things will begin to align for everyone because as you change the world changes as well.